Liquid Splenda? A little goes a long way. 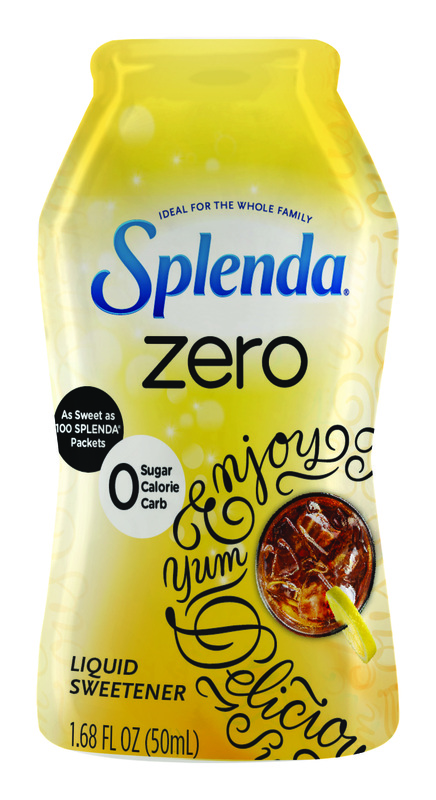 I was contacted recently regarding by a PR person asking if I’d like to try a sample of a new Splenda product: Splenda® Zero™ Liquid Sweetener. This is liquid Splenda. In case you didn’t know, I’m a Splenda fan, and when approached, I thought it would be fun to try this out. The idea is that this is Splenda’s formula, just in liquid form. To set the table (no pun intended), Splenda is sucralose. It’s what goes into Coke Zero, which I really like. Another popular artificial sweetener is aspartame, which is what’s used in Diet Coke. And there’s your difference. Up to now, we’ve only seen Splenda in granular form in the marketplace, and that’s been okay, because it still works in my morning coffee. How does liquid Splenda perform? Very well, and very sweet (no pun intended). I mean, a little of this stuff goes a long, long way. When I received my sample in the mail, I was surprised at how small the bottle was (1.68 fluid ounces), and I reached out to my contact at the PR firm that arranged the review and I asked whether the size I received was the actual retail size, or if it would be bigger. The answer was yes, what I received is the retail size, and it will sell for around $4.99 US. Tasting it in my coffee, I understand why the bottle is so small. It packs quite the sweet punch. Ordinarily, a semi-heaping teaspoon of granular Splenda is what I’ll use in a typical cup of coffee. Or two packs of the stuff you see in a restaurant. In liquid form, that equates to one squirt of the bottle. More than that, and you really get extra sweetness. I’m told that the new Splenda will go well in recipes, and I can’t wait to try it in my next batch of cornbread. I know, sweet cornbread. I’m one of those people. It’s the little something extra I go for when I’m enjoying barbeque, especially. Anyway, personal tastes aside, I can see this as something I might have in my cupboard for cooking. Not to replace sugar in things like pies, necessarily, but in things where I just need a little bump of sweetness, without the high glycemic boost that sugar brings. I suspect if you’re used to carrying a purse around every day, you could pack this little thing away and have instant artificial sweetness as close as your handbag. If I were a thumbs-up or thumbs-down guy, I’d give this a thumbs up. Easy to figure out, still sugar free, the price isn’t crazy high. I hear it should be in your local store soon. Splenda® Zero™ Liquid Sweetener. I was given a free sample of Splenda® Zero™ Liquid Sweetener to try at home. I not compensated in any way for my take on it, which is absolutely my view and cannot be bought with a little bottle of liquid sweetener. All opinions are my own. « Customer service woes? Dexcom’s working on it. I’m not sure your Coke Zero / Diet Coke reference is correct. At least on the west coast. Both Diet Coke and Coke Zero have aspartame, but Coke Zero also has acesulfame potassium mixed in. There is one blend of Diet Coke with Splenda, but nothing similar for Coke Zero. Coke Zero is my favorite of all sugar free drinks. Hmm, it reminds me liquid saccharin. I am sure it is not like that but the idea of it reminds me of it. Now having said that I cannot wait to try it out. 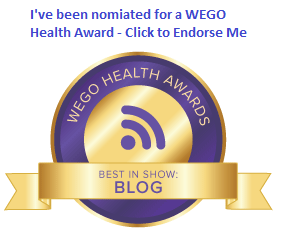 I referred your blog to the TUDiabetes web page for the week of May 2, 2016. So is “squirting” the way to measure it? When I started reading, I realized this isn’t something you could pour in your coffee like milk. If the sweetness is that concentrated, the measurement had better be precise. I generally use one packet of the yellow stuff in my coffee (or one blue, or as a last-resort, half a pink…. Or one and a half yellow for Starbucks to overpower the bitterness). My point is: my biggest concern from reading this is how much flexibility I have in portion control. If one squirt is too sweet, then what? Scott, I’m so simple sometimes I don’t think to measure things. Using my basic measurement, one squirt would be about two packets of the yellow stuff. This sounds like another liquid sucralose product sold on the web that I’ve purchased for about five or six years now. The difference is the dosage, it sounds like. For the kind that I buy, one drop equals a teaspoon of Splenda or sugar. A squirt of it would make something so sweet as to be inedible I think, but it sounds like Splenda’s version is possibly less concentrated?